Frankie the Make-Up Fairy is brilliant at making pop stars look gorgeous. So the girls get a nasty shock when they have their faces painted, and they end up looking terrible! 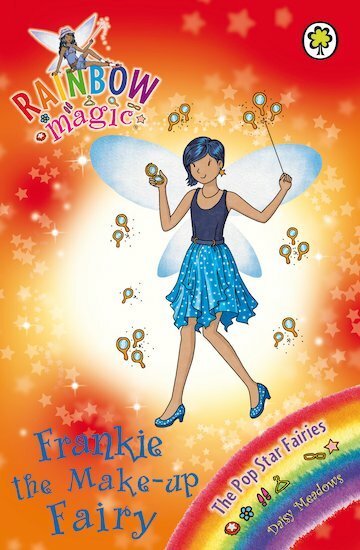 Now that naughty Jack Frost has stolen Frankie’s magical clef necklace, everyone at the Fairyland Music Festival will look a complete fright – unless Rachel and Kirsty can get it back! I completely love this book. It has loads of fashion top tips in this book because Frankie is a make-up fairy.If you like fashion and adventure you would love this book.